A place to find the list of event attendees and boost your networking. 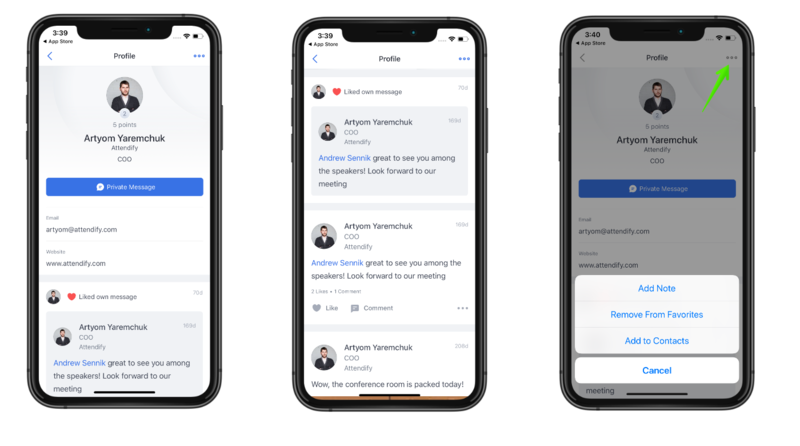 The People feature is one of the default sections of the app, created with the goal of helping attendees connect before, during, and after the event. It can be accessed at any time, just a swipe away from any place in app. You can easily find a list of all the event attendees. Their info and profile pictures are all in one place, and you can quickly add them to Favorites by tapping the "star" right next to a profile. You can sort the list by First and Last name, and Company for a better navigation. You also have a Leaderboard option on this page, allowing you to check the most active event attendees. To find a specific person - tap on a search icon in the top right corner. You can narrow it down even further, tap on Filter in the top right corner and specify your options. If you're an event organizer - you can rename the system label for People should you want to, just follow these steps. Account email - required when creating a profile, not visible to attendees. Contact Email - optional, visible to attendees if set in the profile details. We've also included social media options, allowing you to reach attendees' profiles on LinkedIn, Facebook and Twitter. 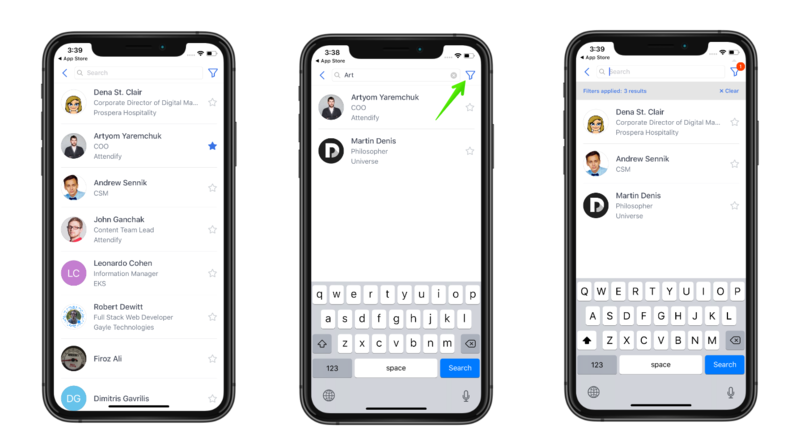 The Private Messaging feature helps you to connect with other attendees. You can see the profile activity below, giving more information about what that person is sharing to make it easy to break the ice. You can add any profile to your Favorites and Notes, simply tap an icon in top-right for that. 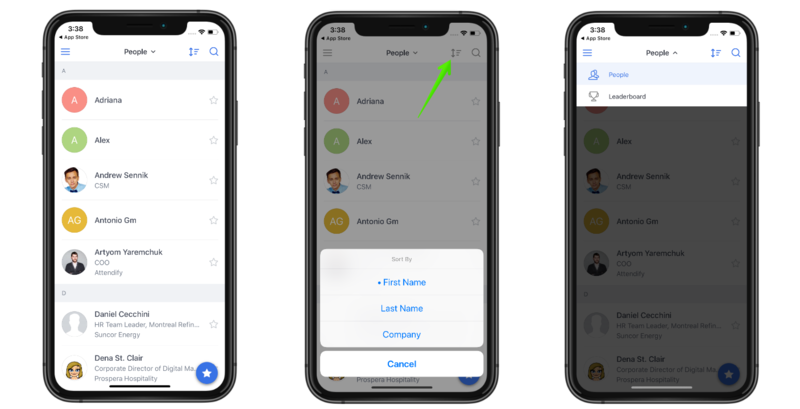 We have also included the ability to add it as a contact to the device itself, tap on "Add to Contacts" to open your default contacts app with pre-filled data.